While most people think of Florida as a place to vacation, you know full well that it takes a lot of workers to provide services to all of those tourists. Whether you spend your days dressed up as Cinderella or you’re a proud senior caretaker, if you are injured at work, you need to prepare yourself to fight for your rights under Florida workers’ compensation laws. Below, you’ll find a chart laying out Florida workers’ compensation laws, followed by answers to your questions about how workers’ comp works in the Sunshine State. Fortunately, Florida requires most employers to provide workers’ compensation insurance for their employees. In Florida, workers’ compensation benefits are essentially a form of wage replacement. How much you are entitled to receive depends on how much your ability to work is impacted by the injury. In Florida, you do not need to prove that your employer was at fault for your injury—only that the injury occurred while you were working. Most accidental injuries and occupational diseases which occur in the course and scope of employment are covered by workers’ compensation. However, mental or nervous injuries are not covered unless they stem from a physical injury. Will I receive benefits equal to my wages? No matter how much your wages are, if you make more than $20 per week, your disability compensation will be limited to 100% of the statewide average weekly wage. As of January 1, 2016, the maximum weekly compensation was $863. The amount you may receive may be further limited based on the percentages below. In addition to medical care coverage, three types of benefits are available: temporary total disability (TTD), temporary partial disability (TPD), and impairment benefits. TTD benefits are equal to 66 2/3% of your regular wages in most cases. If you can return to work but are unable to earn the wages you were earning prior to the injury, TPD benefits pay you 80% of the difference between 80% of your wages before your injury and what you are able to earn now. Finally, impairment benefits pay you for any permanent disability resulting from your injury. Do I need to report my injury during a certain period of time? While there are exceptions, generally you must report a work related injury within 30 days of the date or initial manifestation of the injury. Ultimately, you must file a petition for benefits within 2 years of your injury, but even then there are exceptions to the 2 year limitation. When do benefits begin and for how long? In Florida, when your benefits begin depends on how long your disability lasts. If your disability lasts fewer than 22 days, your benefits do not begin until day 8 of your disability. However, if your disability lasts more than 21 days, you may receive benefits dating back to day 1 of your disability. Whether you are receiving TTD or TPD benefits, you can receive only up to 104 weeks of benefits. If you are receiving 80% of your regular wages due to a critical injury, the time limit is shortened to only 6 months. Are there any restrictions I should know about? In Florida, your workers’ compensation insurance company must authorize the doctor who is treating you. Also, unlike many other states, workers’ compensation laws in Florida do not require that your employer keep your job available for you to return to when you are healthy enough to do so. What can I do if my benefits are denied? If your benefits are denied, an attorney can help you file a lawsuit against the workers’ compensation insurance company. Your claim might be based on many causes of action, including an inaccurate diagnosis by the workers’ compensation insurance doctor or an inaccurate calculation of your regular wages. Florida’s business-friendly laws could easily prevent you from getting the benefits you’re legally entitled to. 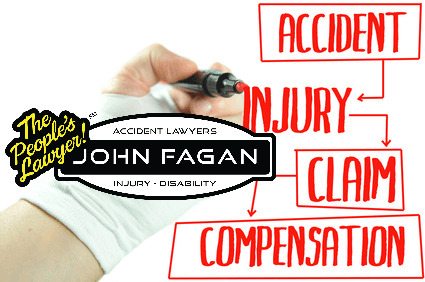 Whether you’re concerned that the doctor you were instructed to see misdiagnosed you or your insurance is simply refusing to pay your benefits, Orange Park, FL Accident Lawyer John Fagan will be able to protect your rights.